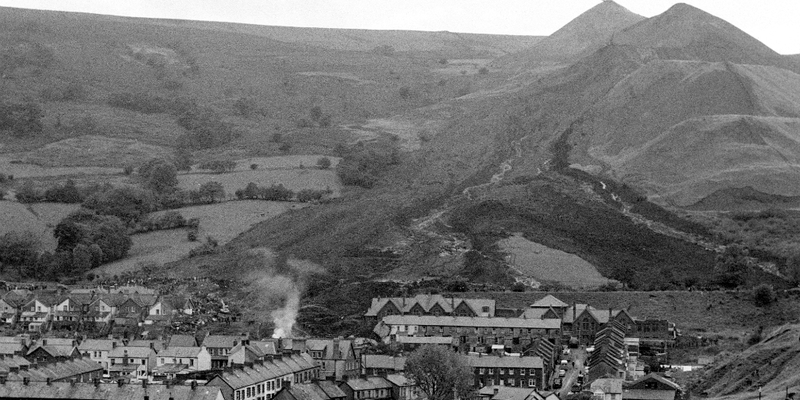 The small Welsh town of Aberfan was catapulted in to the headlines 50 years ago after a tragedy that robbed the community of a generation of its children. On 21st October 1966, the youngsters and teachers at Pantglas junior school were just getting ready for a day of lessons when disaster struck. A million tonnes of coal waste from the Merthyr Vale Colliery came lose from where it had been tipped on the mountainside. The liquefied slurry thundered down and quickly engulfed the school, and a row of nearby houses. 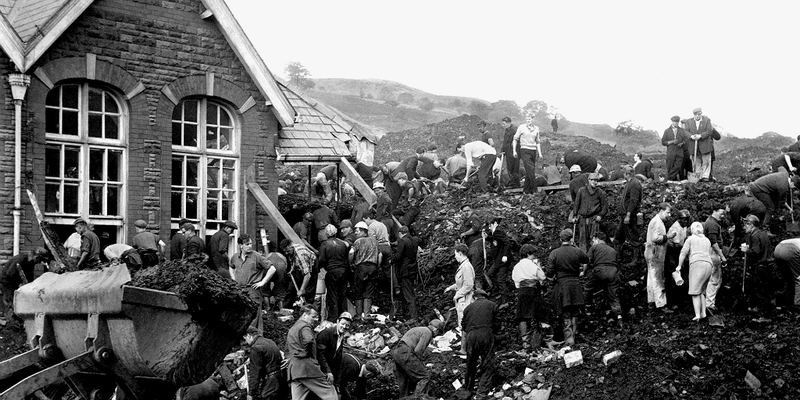 Emergency services, rescuers and miners from collieries across Wales soon arrived to search for survivors. But they quickly began to lose hope that anyone could be saved. In total the disaster claimed the lives of 114 children and 28 adults, including the school's headteacher. Jeff Edwards was the last child to be pulled alive out of the rubble, "I was lucky I survived - I was in a pocket of air and there was a bit of an aperture that I could see through and there were lights coming through to where I was stuck." Jeff Edwards was one of only four children from his class who survived. "A whole generation was wiped out. There were very few of us that survived and we had to grow up really quickly really,'' he said. "One minute we were looking forward to the half-term holidays and then the next minute we were faced with death on our shoulder. Despite a public inquiry in to the disaster, which held the National Coal Board responsible, no-one ever faced prosecution or even lost their job. 50 years after the disaster, he wants the anniversary to be used to remember the victims but also those who came to the rescue. "We were not the only victims of this disaster. The rescuers were victims as well" he said. The Welsh Assembly has flown its flags at half mast for the anniversary and people across Wales observed a minute's silence. 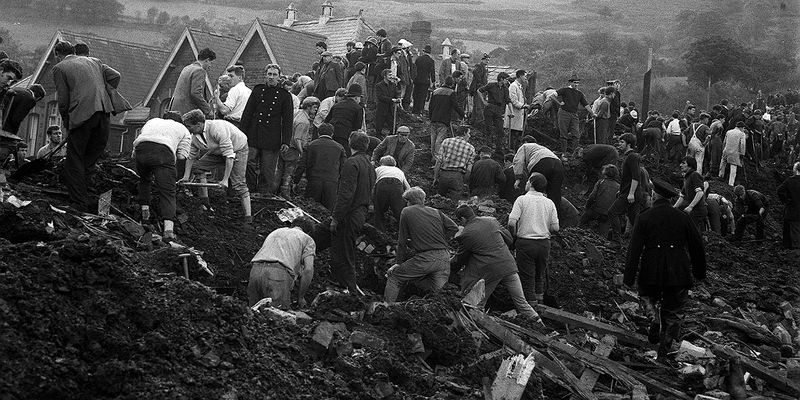 The First Minister Carwyn Jones says the disaster in Aberfan is one of the darkest days in Welsh history. "We remember the adults and school children who lost their lives. “Individuals, families and the community have been profoundly affected by the disaster.